Barnfind Technologies, maker of a multi-functional, signal neutral fiber transport platform, teamed up with Hitachi and Ikegami at 2016 NAB to demonstrate the centralized and remote bi-directional production capabilities of its CAM-CCU system. Barnfield worked with two of Hitachi’s Z-HD5000’s HD studio/field cameras and one camera with Hitachi’s CCU HD 5000 base station. They showed full bi-directional studio to transmitter transport of SMPTE 304/311 video over a single mode fiber and also multiplex multiple SDI, HD-SDI and 3G signals. A Barnfind BarnOne BTF1-07 1RU frame with 16 SFP ports, eight bi-directional BNC ports and an 8/16 CWDM was located in each location for the Hitachi cameras to receive and transmit the signals. BarnOne’s full 32x32 internal matrix routed signals to the ports. 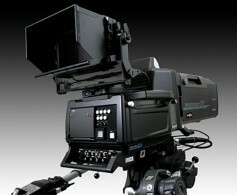 Barnfind also controlled Ikegami’s HC-HD300 multi-format, 4K capable camera remotely at the show. A BarnOne 1RU frame with a flexible 32x32 internal matrix for optical or electrical signals at different locations achieved intelligent control over edge devices and signals with SNMP alarming. Operators can download the BarnStudio control software without charge. BarnOne frames are compatible with several third-party control systems such as Dataminer, ScheduALL, Blackmagic, LSB/VSM, BFE/KCS, DNF, TSL, SW-P-08 and Ross openGear/DashBoard. Barnfind Technologies AS, headquartered in Sandefjord, Norway, manufactures signal-neutral fiber transport platforms for a wide variety of media environments, including broadcast, cable, satellite, OTT and telecom. All are in a single frame. Solutions provide users with a platform for converging digital media services compatible with all major industrial standards, ruggedized for reliability in even the most challenging environments and optimized for low-energy operation.